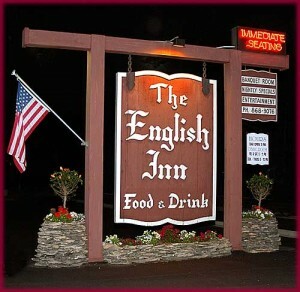 The English Inn is conveniently located on Hwy 42 between Fish Creek and Ephraim. Serving dinner nightly during the summer season, it features a true supper club atmosphere, a spectacular selection of entrees and live music. Make sure you try the hot bacon dressing when dining with the Daubner’s. Spinach Salad – mushrooms, water chesnuts, slivered almonds, chopped egg, fresh grated parmesan cheese, served over spinach greens with our famous hot bacon dressing. Mandarin Salad – mix of salad greens topped with raisins, mandarin oranges, red onions, and slivered almonds accompanied by honey Dijon dressing. Garden Salad – A blend of fresh vegetables and garden greens with dressing choice of – hot bacon, blue cheese, honey Dijon, lowfat cherry vinaigrette, French, Ranch, or Golden Italian. An 18% suggested gratuity will be added to parties of five or more. There will be a $8.00 share charge applied when applicable.